For the new 2017 Montblanc watches, we once again developed an application that digitally visualizes the variety of functionalities and high-quality design of the brand’s products. 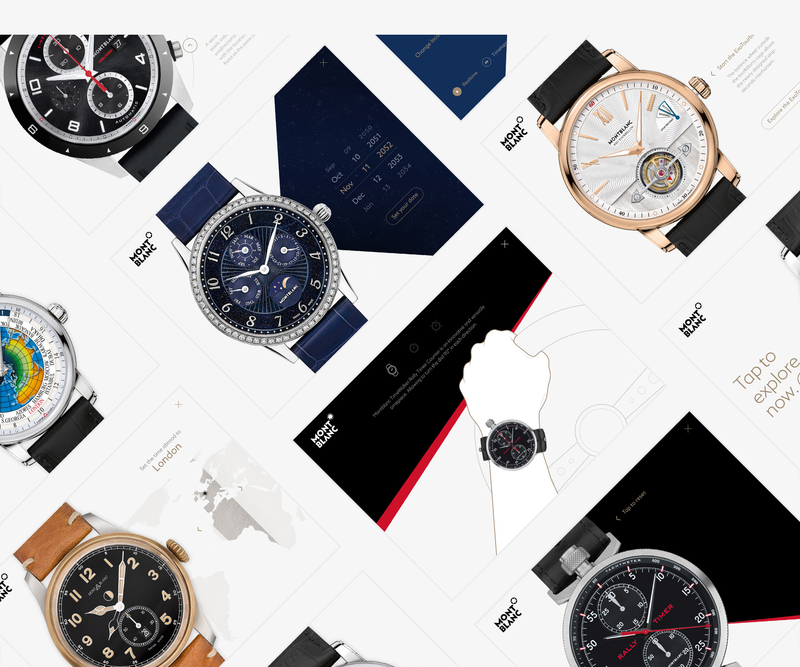 As a sales and marketing tool, the high-performance application runs on anything from iPads to 85” touch displays – showing the impressive craftsmanship of the watchmaker. Mechanical watches stop working as long as they are not in use, which is why prospective buyers can only discover the outward appearance of the exhibits. Therefore, we concepted a digital solution for Montblanc which displays the fine mechanism and extravagance of the luxury watches in every situation. 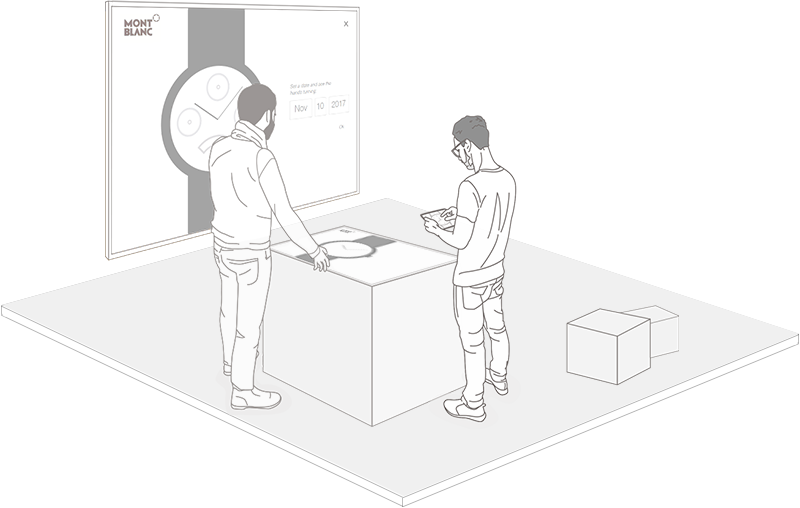 As a basis for this, we developed a scalable framework for trade fairs, roadshows and in-store use, which can be supplemented with new models at any time. Montblanc watches stand out because of their advanced functionalities and handcrafted precision of traditional watchmaking. In order to present every detail of the new models, the concept takes a gradual approach – analyzing the functionalities and construction step by step. 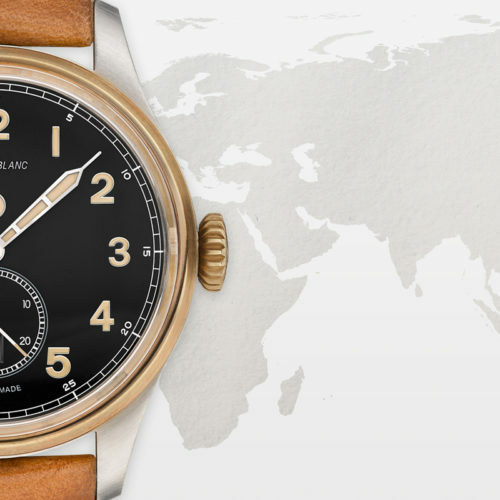 This resulted in a realistic and creative solution which also corresponds to the clean, classic design of Montblanc. 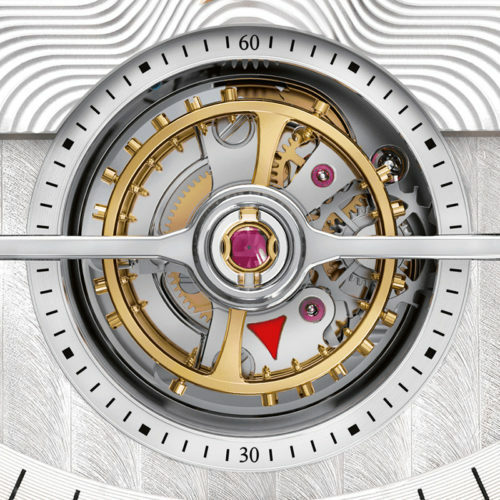 After a kick-off with the Swiss Montblanc watchmakers and product managers, an individual experience concept was developed for each watch model. Important product features are highlighted and can each be explored through specific touch interactions. Additionally, information layers offer interesting details and background information. 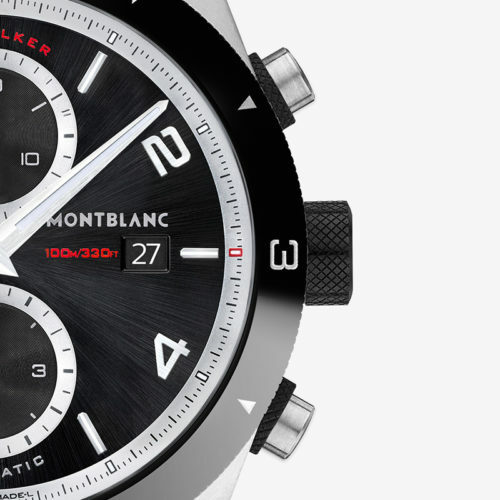 The Montblanc application allows for a sophisticated product visualization. Based on the UX concept, the high-resolution pack shots of the watches were processed from scratch in Photoshop. 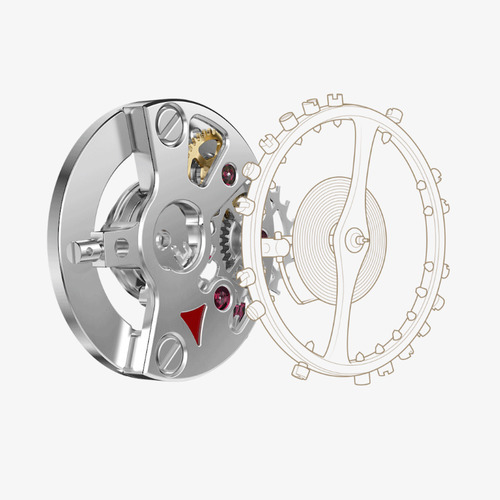 The complete inner movement of the watches with all its wheels and components was reconstructed and animated in After Effects. 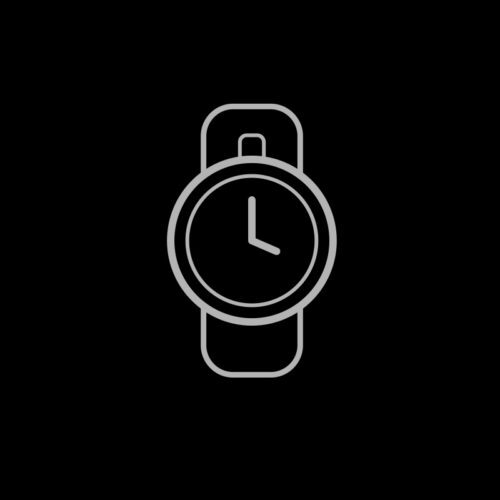 The outcome is a very detailed, realistic presentation of the watches which increases the joy of use through varied motion design. 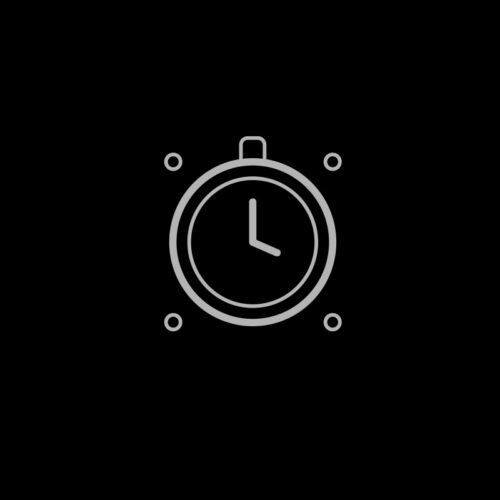 Amongst other functionalities, the application detects and uses the current system time of the device it’s running on. 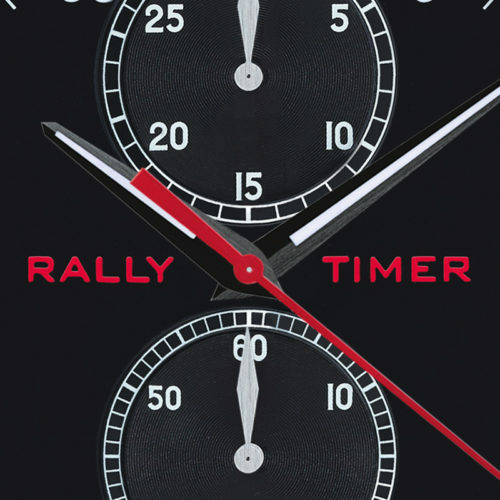 As a result, the watch displays the correct time for the respective time zone at each location. Supported by this feature, the user can correctly explore all calendar data and future moon phases or shifts based on their current location. High-performance WebGL and the use of ES6 and PixiJS technologies guarantees a smooth experience and superb visuals for high-density displays, like Retina. Clean transitions are responsible for a pleasant and smooth look and feel. In order to enable a flexible deployment during trade fairs or in retail, the application can be controlled both online and offline via an integrated application cache. The Montblanc characteristics of first-class design, high-performance functionality and sophisticated craftsmanship have been digitized through this application in the form of an outstanding marketing tool and exciting product presentation. Whether via iPad or PoS-display, the application can be operated at any time, at any location, and can be easily adapted for new product innovations in the future. From TV commercial to web showroom.